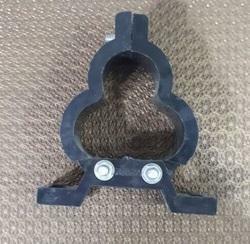 Leading Manufacturer of heat shrinkable insulation sleeves, uv cable ties, ss cable tie, bimetallic lugs, single compression cable gland and double compression cable gland from Delhi. Shenzhen Woer Heat-Shrinkable Material Co., Ltd. is a high-tech enterprise specializing in R&D, manufacturing and sale of cross-linked materials. Established in 1998, Woer has undergone dynamic growth and become the largest heat-shrinkable material manufacturer in China. Headquartered in Shenzhen Export Processing Zones, Woer Industrial Park covers an area of 50,000 square meters. We own nine sets of advanced electronic accelerators, which is the guarantee of high efficiency and reliable quality of production. 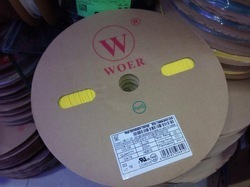 Woer supplies solutions for electrical insulation and mechanical protection for parts, wires, cables and pipes for the electronics, automotive and electrical power markets. 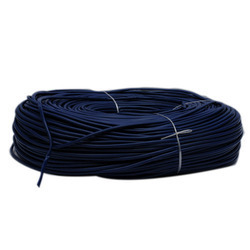 Our main products include heat shrinkable tubes, heat shrinkable bus bar tubing, heat shrinkable power cable accessories, cold shrinkable power cable accessories, PE cross-linked wires etc., altogether 9 series, 2500 types. Most of our products are UL/CSA approved and RoHS compliant. We have a complete quality guarantee system and the whole company has been certified to ISO9001 and ISO14000. We also comply with TS16949 system, a prerequisite to enter the automotive industry. Woer is devoted to establishing a worldwide sales and service network and becoming a global supplier. Woer brand and products are now well recognized and received in the markets of Asia, Middle East, Europe, North America & Latin America, Africa and Australia. Woer strives to offer the most effective and convenient services and technical supports for customers all over the world. 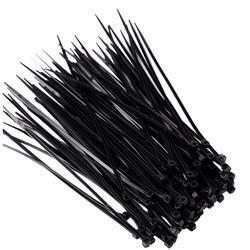 Our company is the leading manufacturer and supplier of Cable Tie which are available in myriad of designs and specifications. Extensively used for binding the electrical cables together, these fasteners are equipped with numerous attributes. These cable ties are fabricated from supreme quality of material which is procured from our most trusted and certified vendors. Finally, these are very easy to maintain and are resistant t o harmful factors. Our company is providing Bimetallic Lugs which are available in myriad of designs and specifications. Extensively used for binding the electrical cables together, these fasteners are equipped with numerous attributes. These cable ties are fabricated from supreme quality of material which is procured from our most trusted and certified vendors. Finally, these are very easy to maintain and are resistant to harmful factors. 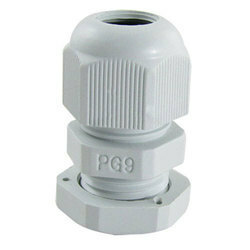 We have uniquely positioned in the market by offering best and most perfect quality array of Single Compression Cable Gland. 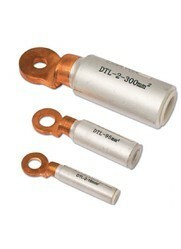 These cable glands are designed by our engineers with the use of best quality machines and techniques. They are used in Plating like Nickle Plated (Tinning, Cadmium and Chrome & Zinc on request) and Construction & Function. They are affordable in rates. 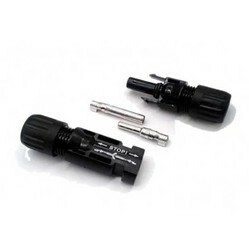 We have uniquely positioned in the market by offering best and most perfect quality array of Double Compression Cable Gland. These cable glands are designed by our engineers with the use of best quality machines and techniques. They are used in Plating like Nickle Plated (Tinning, Cadmium and Chrome & Zinc on request) and Construction & Function. They are affordable in rates. We have uniquely positioned in the market by offering best and most perfect quality array of PG Gland. These cable glands are designed by our engineers with the use of best quality machines and techniques. 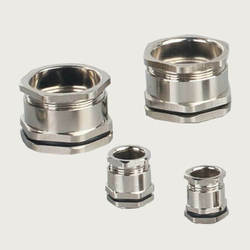 They are used in Plating like Nickle Plated (Tinning, Cadmium and Chrome & Zinc on request) and Construction & Function. They are affordable in rates. 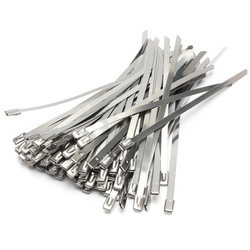 We have uniquely positioned in the market by offering best and most perfect quality array of Aluminium Cable Tags . These cable glands are designed by our engineers with the use of best quality machines and techniques. They are used in Plating like Nickle Plated (Tinning, Cadmium and Chrome & Zinc on request) and Construction & Function. They are affordable in rates. We have uniquely positioned in the market by offering best and most perfect quality of Array Junction Boxes . These cable glands are designed by our engineers with the use of best quality machines and techniques. They are used in Plating like Nickle Plated (Tinning, Cadmium and Chrome & Zinc on request) and Construction & Function. They are affordable in rates. 3. High transmission of force to reduce the working fatigue according to lever control. 4. 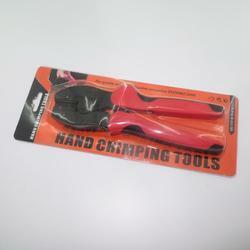 Portable style with perfect handle dripping position, light weight, logical structure and perfect handle shape design atchin human being engineering principle, it guarantees perfect crimping effect. 5. It's easy to operate while using pliers, just insert the top into its position and press it. 6. Self locking and releasing mechanic unit. 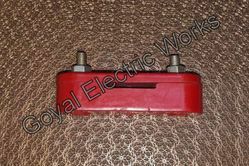 Our organization is ranked amongst the reputed names in the market for providing Strip Insulator. 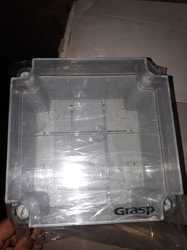 The product is offered with extreme quality and nominal prices.